Learn about our passion for helping young people grow and thrive. 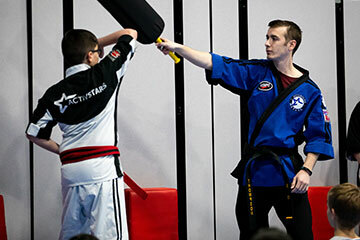 At ActivStars, our mission is developing life skills for active youth. We’ve been providing after-school recreation programs in sports like cheer, karate, soccer, and others for decades, across America. We believe every child can improve and thrive when their mind, body and sense of community are developed. Our classes and our website are dedicated to supporting that growth. We invite you to ask any questions or learn about our programs using the buttons at the top of this page. In the 1950s, our founder and family matriarch Bonnie Hood had a vision for offering quality and accessible youth programs for all young Americans. ActivStars was born as a youth recreation program and later innovated as the first company in the US to partner directly with schools for after-school recreation. 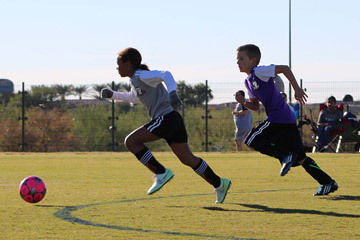 The initial focus on quality instruction remains true today as one of the few company-owned, company-operated organizations to consistently deliver the highest quality trained coaches and instruction for soccer, cheer, and karate. Taught in more than 5 states for more than 20,000 families, ActivStars is the leading US provider of youth recreation programs for all families with children 4-17 years who desire quality, affordable after-school programs. Unlike franchised or volunteer recreation programs, we’re the only company-owned youth recreation program provider to partner with schools and use trained coaching staff. Providing what youth and families need most ‘beyond the classroom’ with positive recreation programs which build skills, friendship, family values and character for life, ActivStars’ mission is to develop life skills through recreation! Sports for life. Life through sports! Central to our teaching and coaching is involvement in our local communities. That’s why all of our instructors and coaches are hired locally within the community. We have strict requirements for demonstrated knowledge as well as a commitment to training every member of our team. All instructors and coaches are screened and fingerprinted, as part of our extensive background and reference check process. As employees, they attend training sessions to learn our safety procedures and programs, current sports rules and regulations, innovative teaching techniques, and curriculum development. There’s nothing in the world like making a positive impact in the lives of children. Explore our career opportunities to learn how you can become part of the ActivStars family. 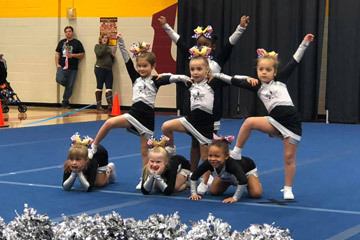 Currently, ActivStars is focusing on our Soccer, Cheerleading, and Karate programs for students in Arizona, Texas, and the Midwest. Programs typically last 12 to 14 weeks depending on the semester and include a variety of practices, training, and events. We offer affordable weekly fees without contracts, in order to make rewarding after-school sports accessible to all children and families. 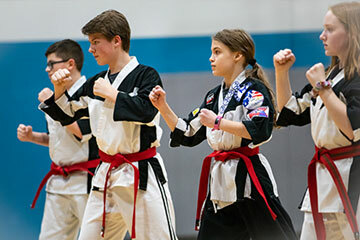 Our karate programs also provide access to ActivStars’ unique and industry-leading safety awareness program, SAFEShield. SAFEShield is designed to teach students and their families what’s needed to understand the unforeseen dangers in today’s world. Students learn awareness about their environment including the safety measures most needed for children. If you have any questions about our programs or want to see your child become an ActivStar, contact us directly.